Description: Rare disklavier player grand . This one is in mint condition. Has upgraded notebook computer with thousands of midi files loaded. These include Jazz solo piano and ensemble works, blues, ragtime , and almost the complete piano repetoire of classical piano. Also includes subwoofer and satellite speakers. Has all the legendary Conservatory series features such as duplex scale, slow fall key cover, super responsive action, all in a compact size. Play any other small grand and they do not compare to the C1 for responsiveness , power and tone quality. 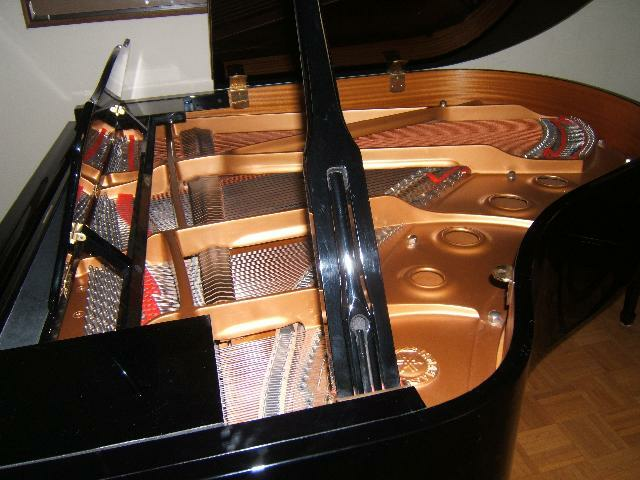 Comes with matching factory bench, tuning, delivery and full warranty on acoustic piano.